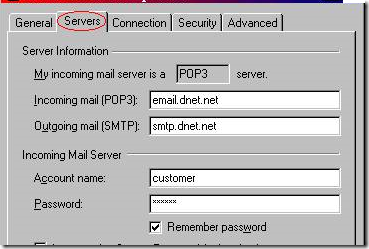 How can I check my Outlook Express email online on another PC? Three methods to Check Outlook or Outlook Express email online when you are away from your computer – never miss an email! How can you check your Outlook Outlook Express email online on another computer, when you’re away from your computer – on holiday, at a friend’s house or at work? 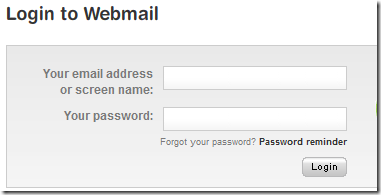 Does your Email Provider give you Webmail access? If so you can read and respond to your most recent emails. This method will NOT show you your old email – just the email that has arrived since you last checked your email with Outlook Express. Here the Account Name (or User Name) is “Customer”. 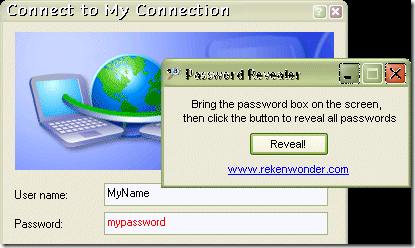 If you can’t remember your password – try downloading Password Revealer and it will show you what lies behind the asterisks. I use http://www.mail2web.com for checking new email whilst I’m away from my desk. It doesn’t matter who your provider is for the most part – as long as you know your email address and password you can check your email from a web browser. If you want to see your recent email in your Webmail – say from the two weeks or the last month, you’ll have to tweak Outlook Express on your computer. Go to Tools –> Options –> Accounts and then go to the Advanced tab of the dialog box that comes up. 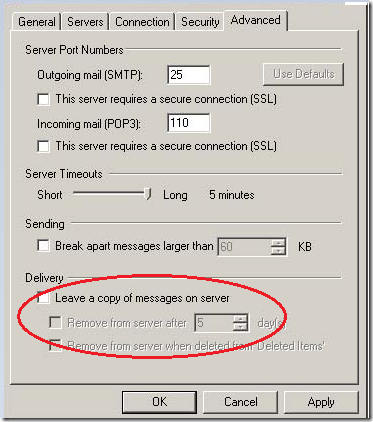 Tick “Leave a copy of messages on the server” and tick “Remove from server after X days”. You can decide how many days-worth of mail you’d like to keep on the web to read using Webmail when you don’t have your computer with you. 30 days is a good suggestion. This is a good solution – you can sign up for a Free Gmail Account and use Mail Fetcher to pull a copy of all of your emails into Gmail. That way you keep a copy of every email you receive and you can access it any time from the web from any computer by going to www.gmail.com. Gmail currently allows about 10gb of storage, so it will take quite a while to fill up your Gmail account. This is a good backup for your Outlook Express email – if you lose your computer or it gets stolen, you still have all your email. This way you’ll be able to check your email online, as you now have a copy of all your emails, stored in Gmail. One Response to How can I check my Outlook Express email online?